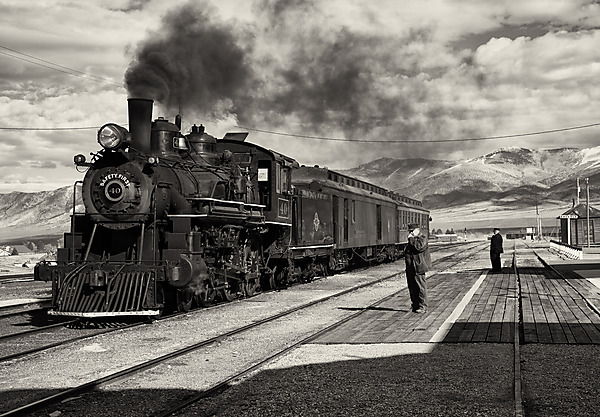 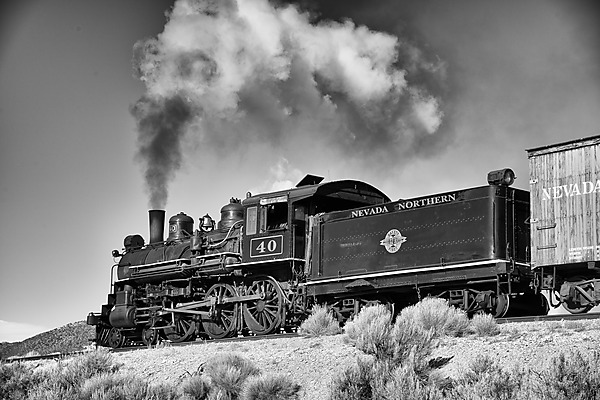 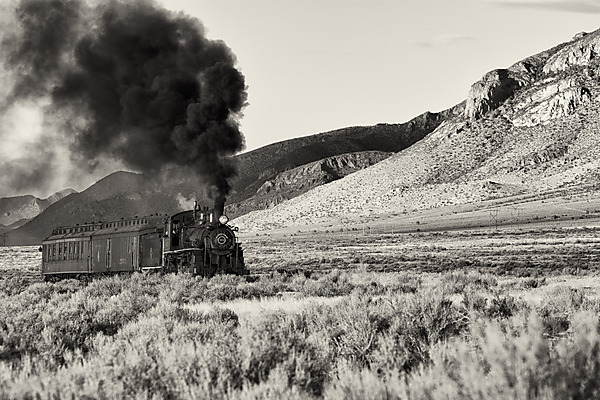 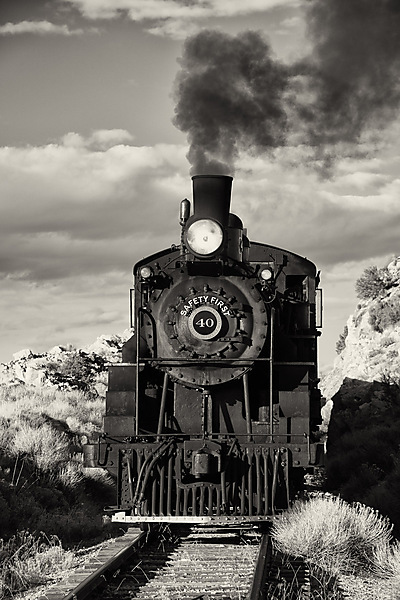 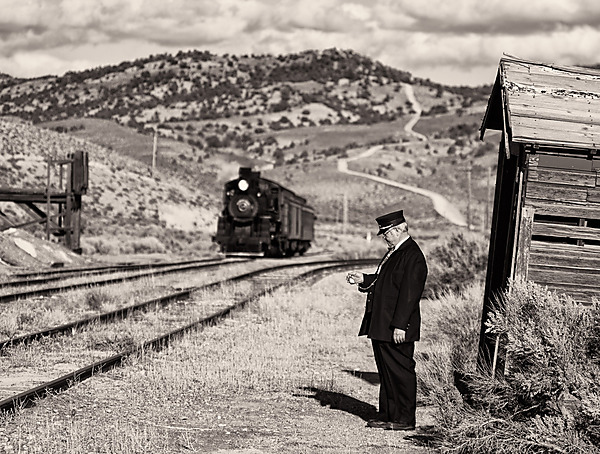 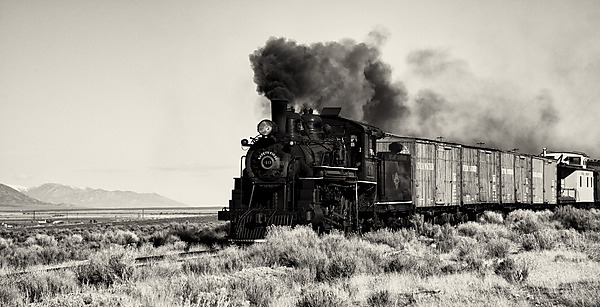 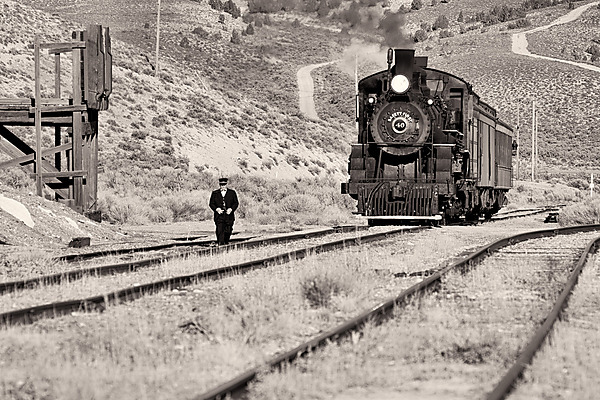 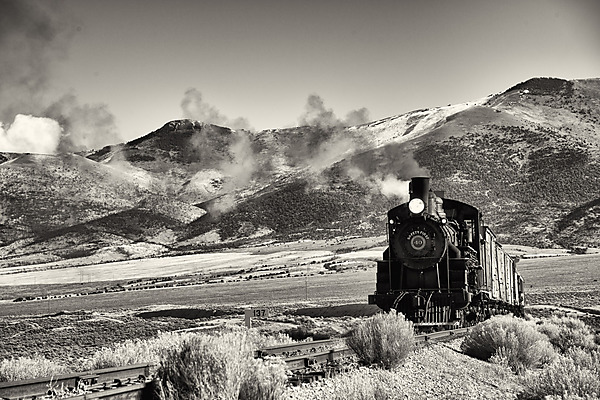 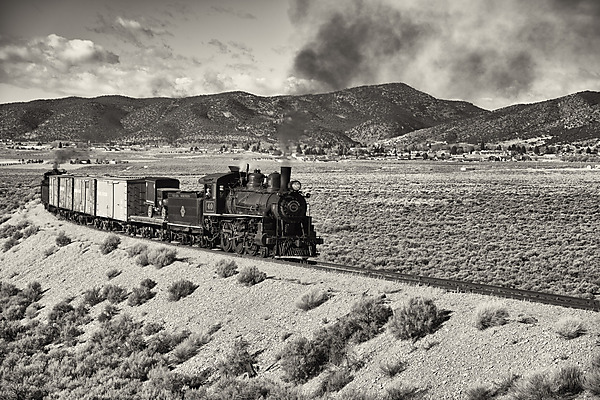 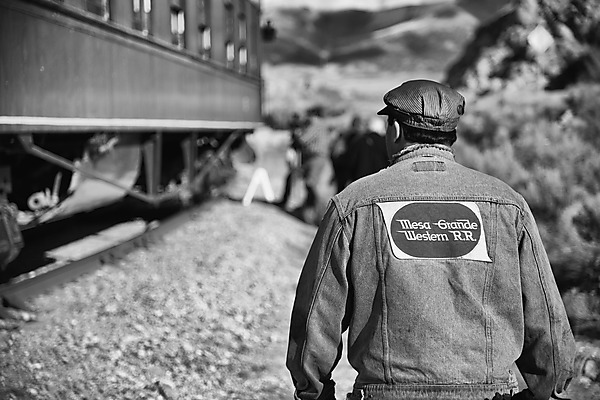 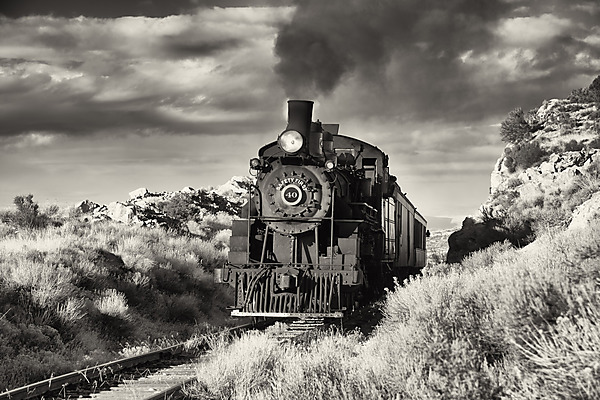 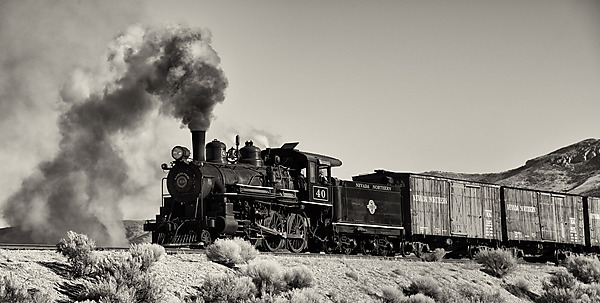 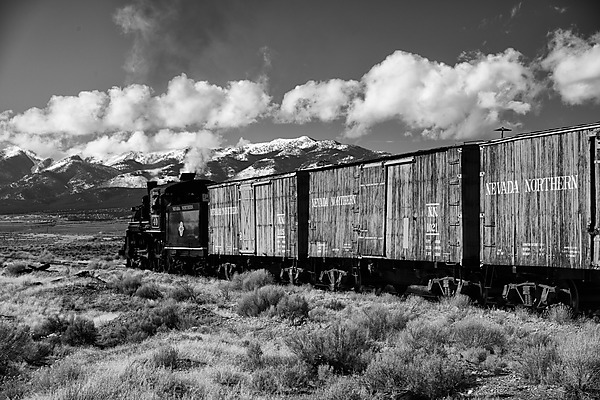 The Northern Nevada Railway (NNRY) is a historic gem located in Ely, NV. 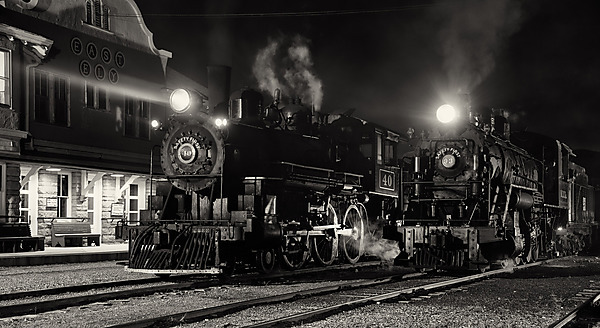 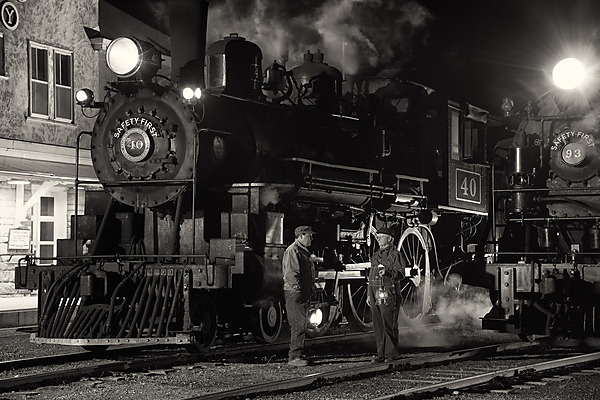 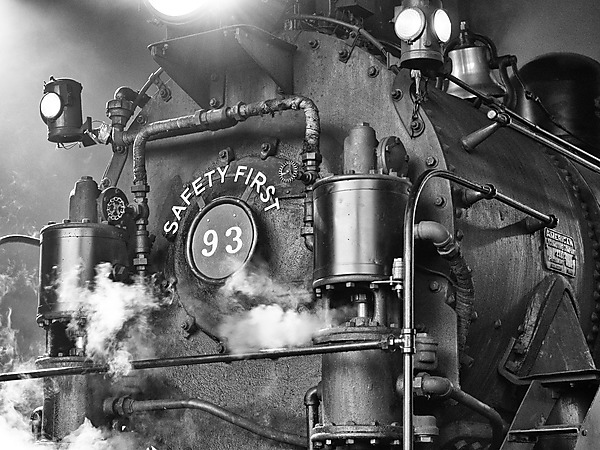 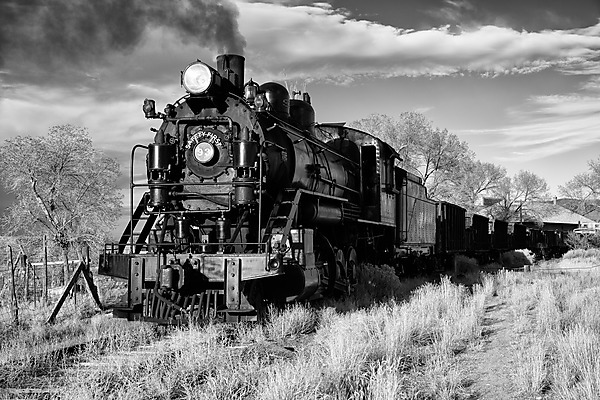 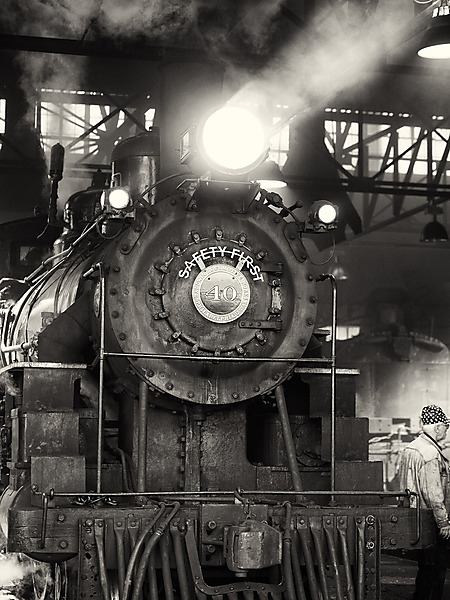 The NNRY is an intact railway and rail yard from that has been transported through time. 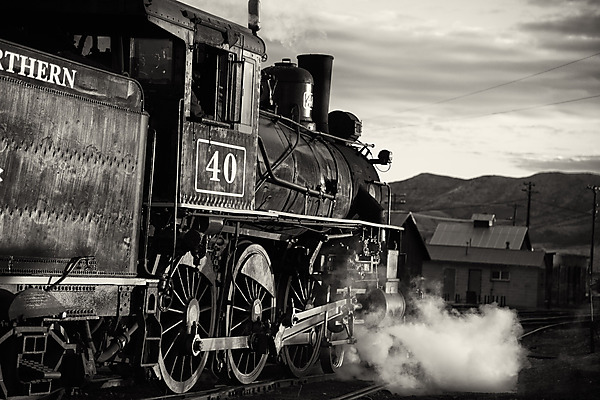 Ely is a remote town due to being 4 hours and over 240 miles from any city. 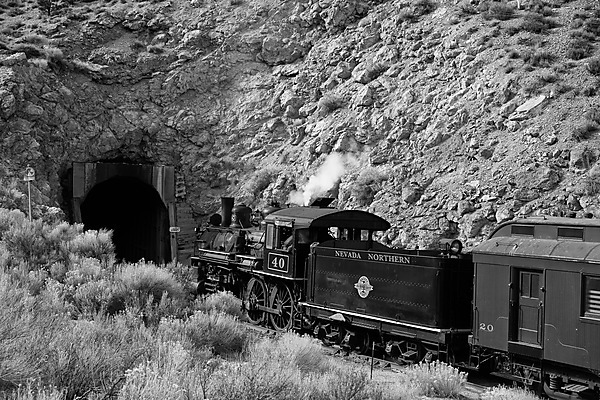 Ely's remoteness helped preserved the railway. 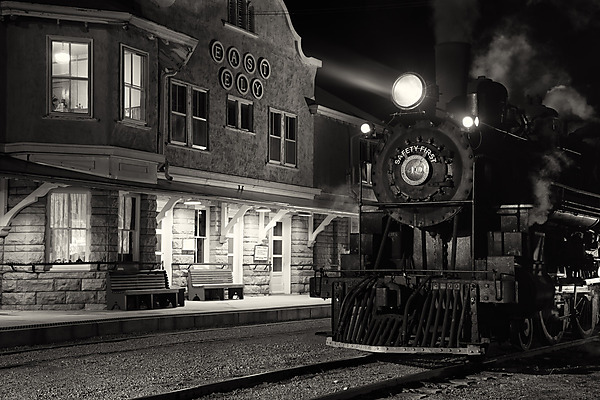 In a bigger town, the rail yard would have been valuable real estate and redeveloped when the mining company that operated railway shut down. 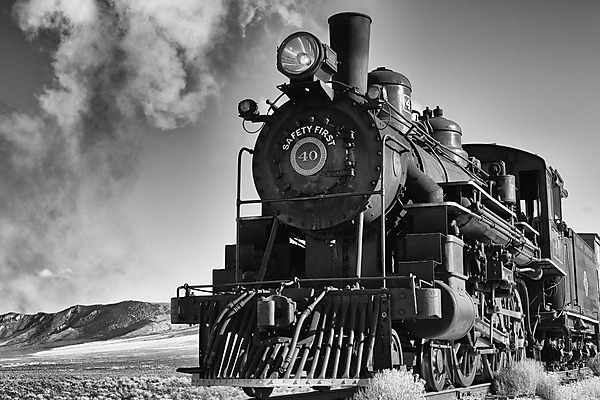 Ely's remoteness helped keep the railway intact and the operation is now a non-profit heritage railway. 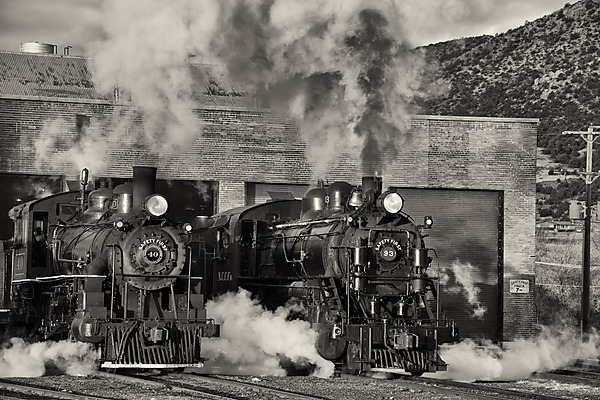 Every year the railway has a Winter Photo Shoot which provides photographers many opportunities to create images of the trains over a two and half days. 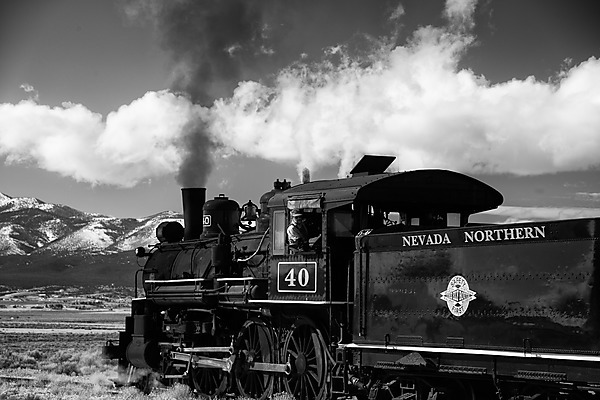 This year the temperatures were unseasonably warm and thus there was no snow. 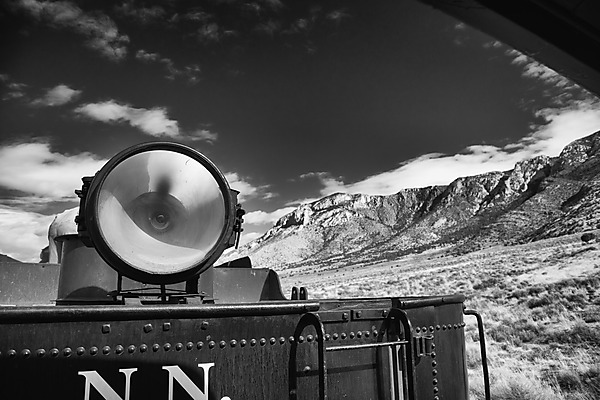 Snow or not, the winter photo shoot provides many great opportunities to photography the trains. 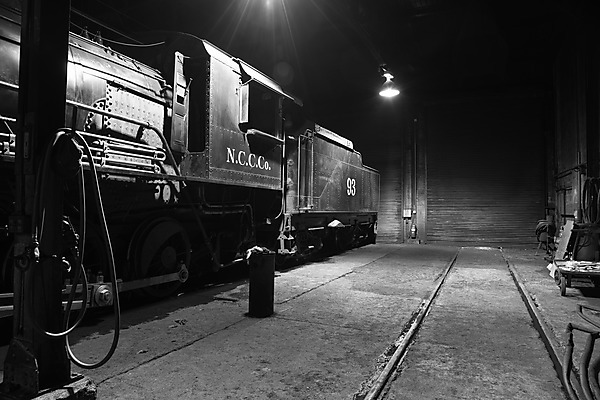 I prefer images of the railway in black and white as they fit the historic character of the railway and feel like stepping back in time which is what the NNRY is all about.